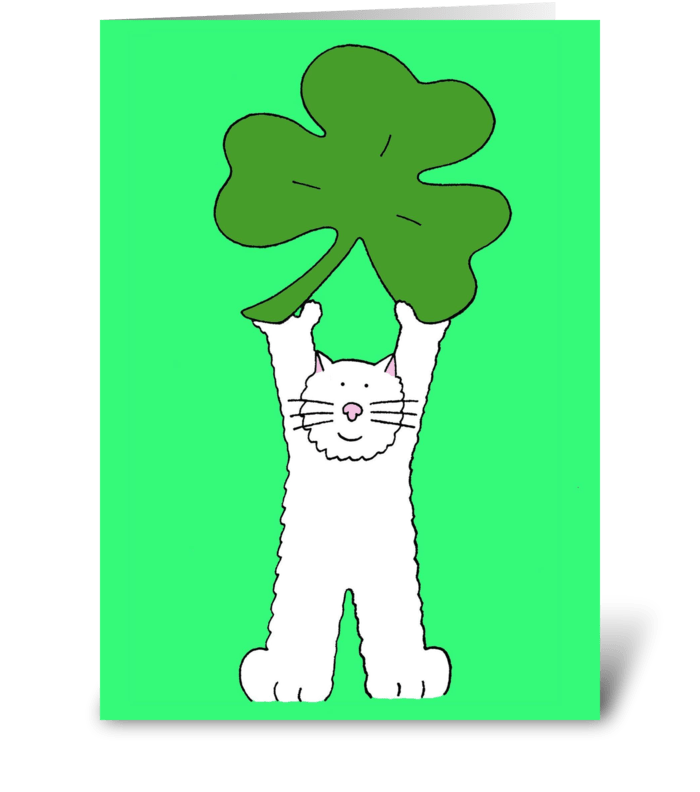 St Patrick's Day cat with shamrock. 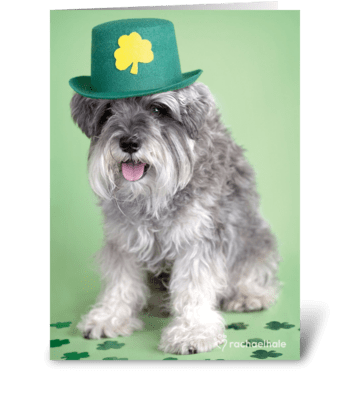 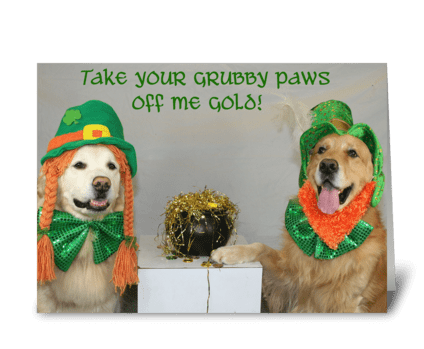 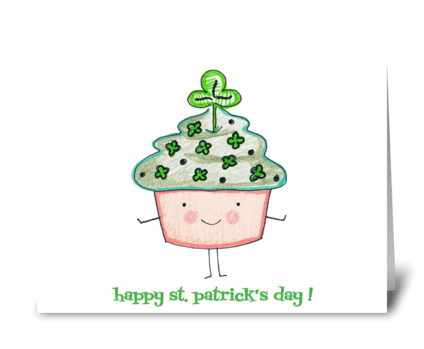 Inside message: Happy St Patrick's Day! Fluffy white cat holding a large green shamrock.